Sophistication. 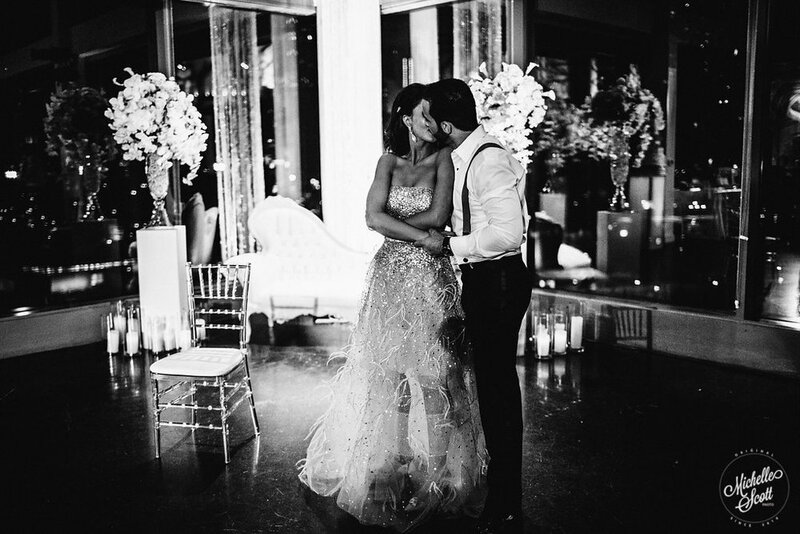 Simply the only word to describe Fatima & Aryan's timeless and elegant wedding day. 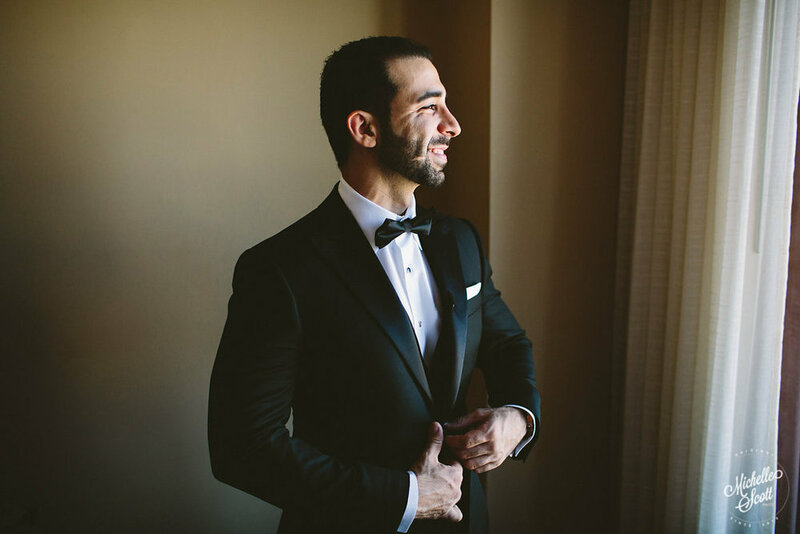 We outfitted Aryan with a classic tuxedo that looked great from start to finish of his wedding day. Let's take a look at his style! 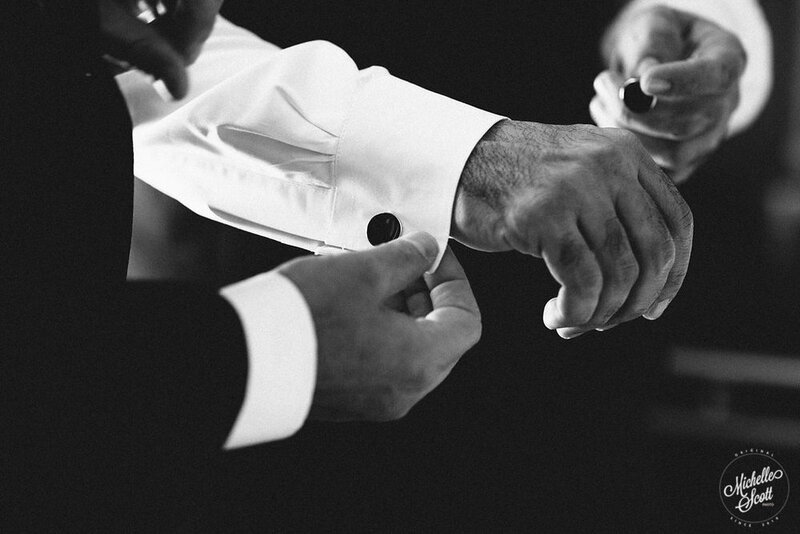 Everyone should get ready for their wedding day with their closest friends and family helping them along the way. Aryan had more than a few helping hands that lent themselves to tying his bowtie and adusting his cufflinks. 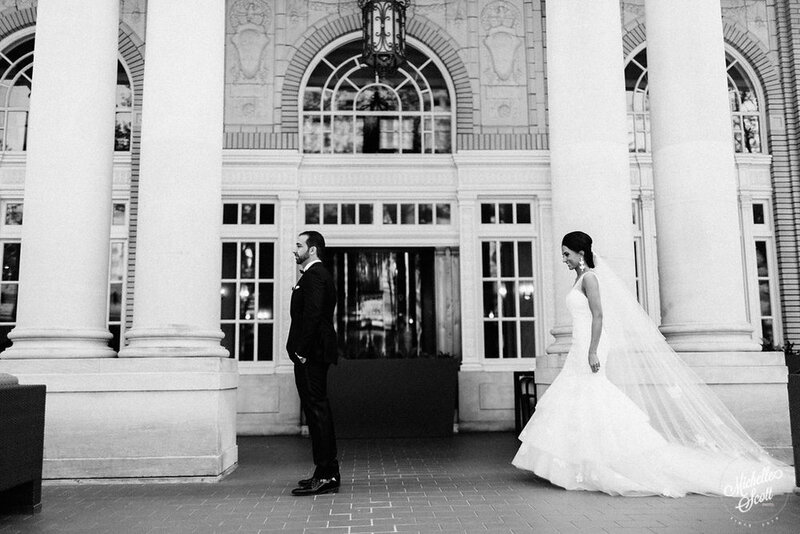 We love these classic black and white photographs by Michelle Scott Photography. 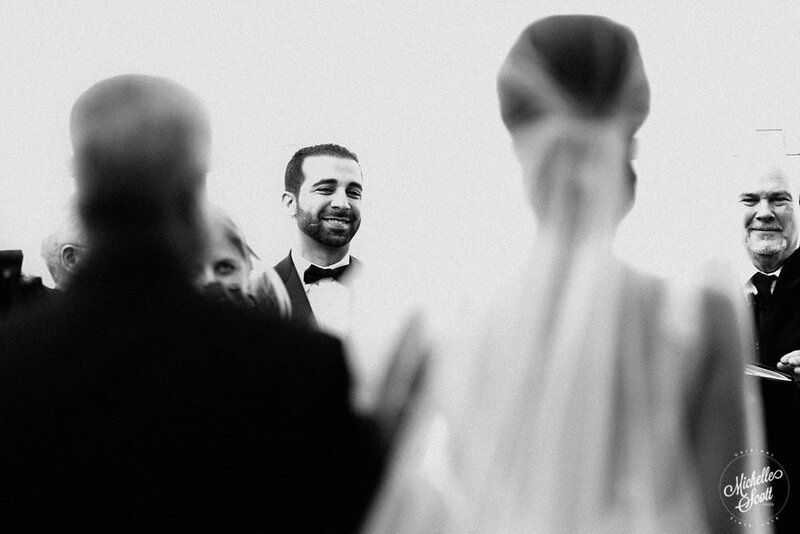 Next, Fatima sees her groom for the first time on their wedding day. 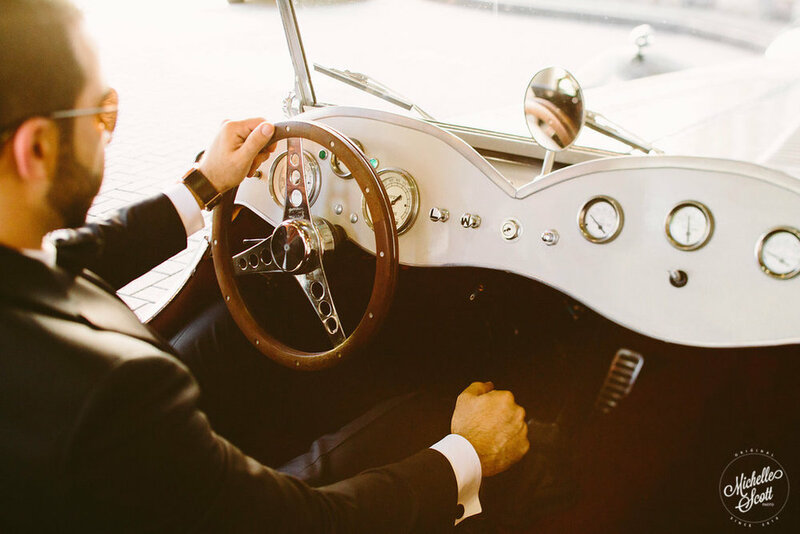 Their portraits are so elegant and timeless, and we love that they also took photos with a vintage car. Tres chic! This rooftop ceremony at Ventanas is so gorgeous and we love the way that Aryan looks at his beautiful bride. How stunning are these rooftop portraits on the helipad at Ventanas? 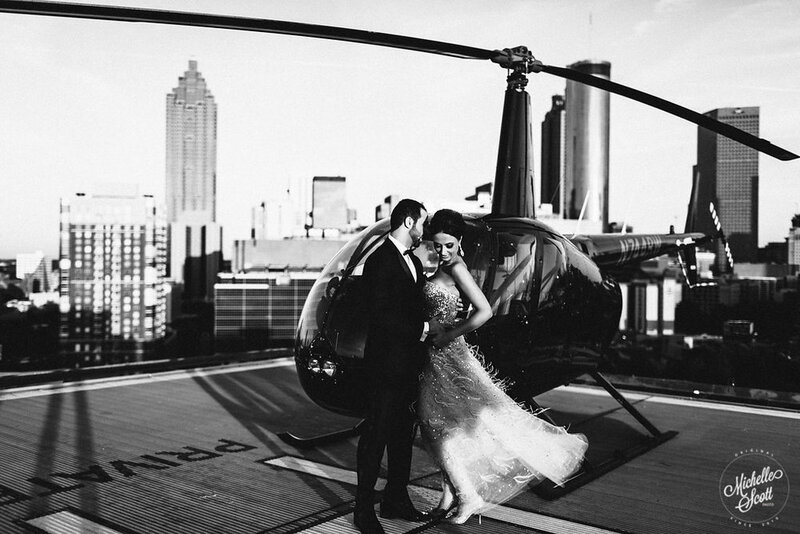 So beyond gorgeous, and we love that Fatima & Aryan took a little ride around the city before their beautiful reception.